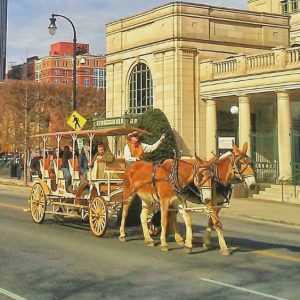 Come and enjoy a 20 Minute Private Narrated Tour of Downtown Nashville and experience all that this amazing city has to offer. 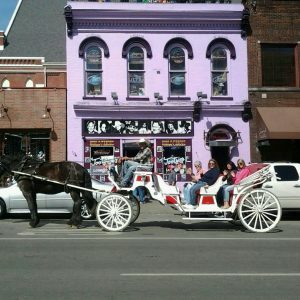 This insightful tour includes hotspots such as the Schermerhorn Symphony Center, The Country Music Hall of Fame, The Bridgestone Arena, The Johnny Cash Museum, Riverfront Park, Hard Rock Cafe, The Wild Horse Saloon, The Ryman Auditorium, Tootsies Orchid Lounge, and other tourist attractions and insight into various poplar dining establishments around our great city. 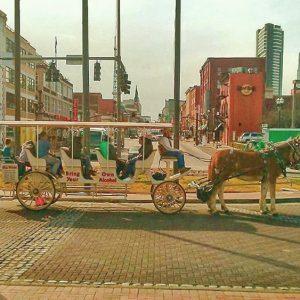 Our popular 45 Minute Private Narrated Tour of Downtown Nashville has all the sites offered in our 20 minute tour plus much more. 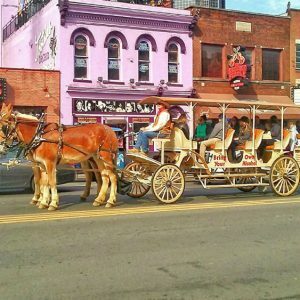 This tour includes hotspots such as the 5 Star Historical Presidential Hotel The Hermitage, Schermerhorn Symphony Center, The Country Music Hall of Fame, The Bridgestone Arena, The Johnny Cash Museum, Riverfront Park, Hard Rock Cafe, The Wild Horse Saloon, Well known Printers Alley where Jimi Hendrix got his start, The Tennessee State Capitol Building, The War Memorial Building, Nashville Performing Arts Center, Tennessee State Museum, The Ryman Auditorium, Tootsies Orchid Lounge, and other tourist attractions and insight into various poplar dining establishments around our great city. 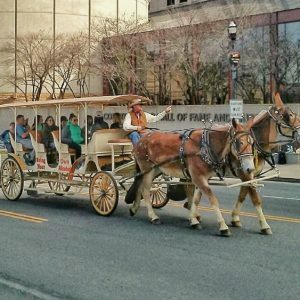 After extensive experimentation, horses were selected as the ideal animal to pull carriages, since cows interrupted the mood with their mooing and pigs got hung up in line for the hot-dog stand. Take advantage of horses’ selfless nature with this great deal. 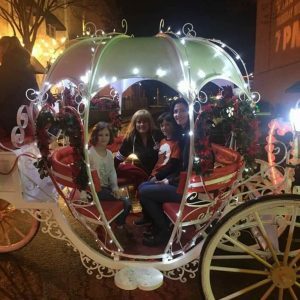 Passengers greet both horse and chauffeur as they board their stately, wheelchair-accessible Vis à Vie luxury carriage and embark on a 20-minute evening jaunt, bypassing landmarks, historic buildings, and high-end horseshoe boutiques. 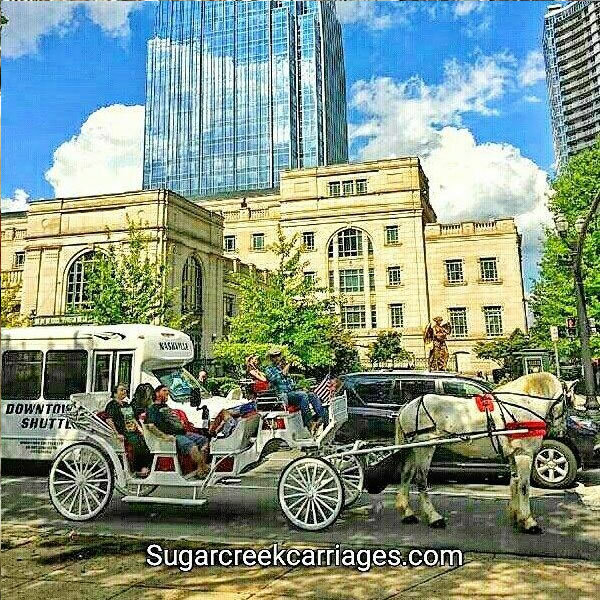 As a Sugar Creek Carriages horse, Flint attends so many weddings he might as well be standing on a cake. 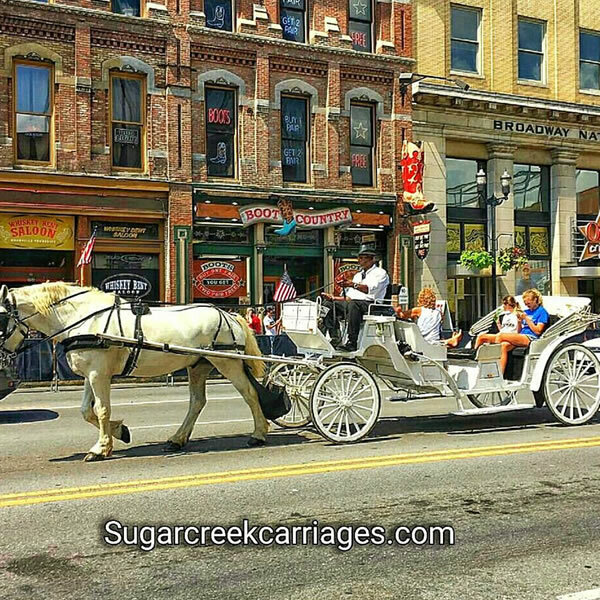 The charming percheron draft horse sports a fair complexion and snowy mane that match traditionally white wedding dresses and the wedding carriages he often tows. 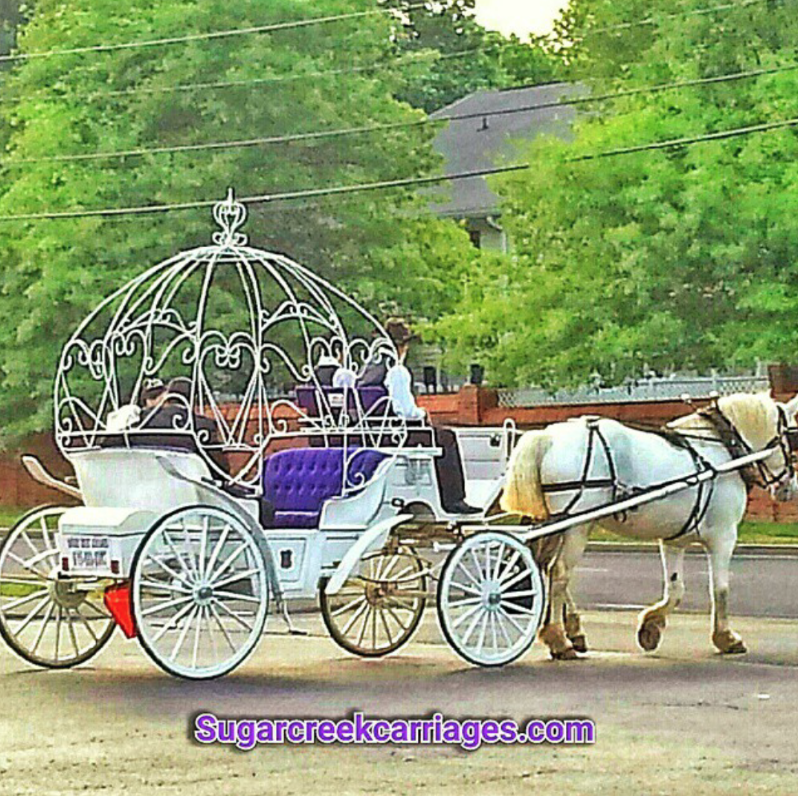 He is one of 10 well-groomed, mannerly horses and ponies that provide the horsepower for an array of stylish buggies. Additionally, the animals make appearances at festivals, reenactments, and kids’ pony parties. 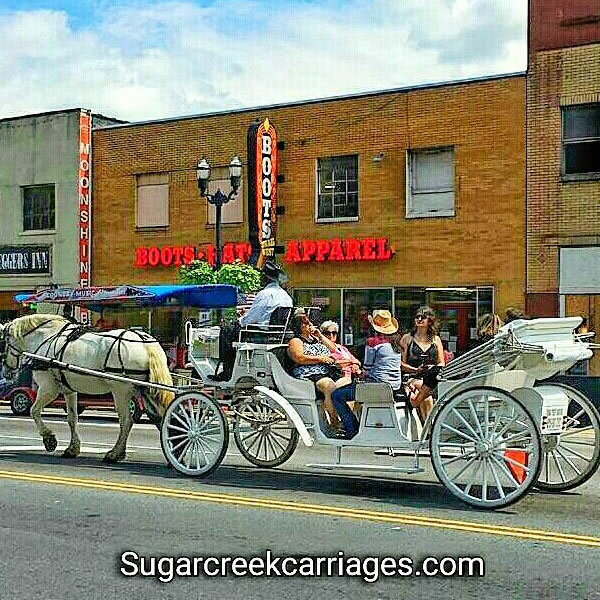 Sugar Creek Carriages also networks with the entertainment industry, a connection that recently led pop singer Justin Bieber to rent a carriage while he was in Nashville and his unicorn-drawn chariot was in the shop.